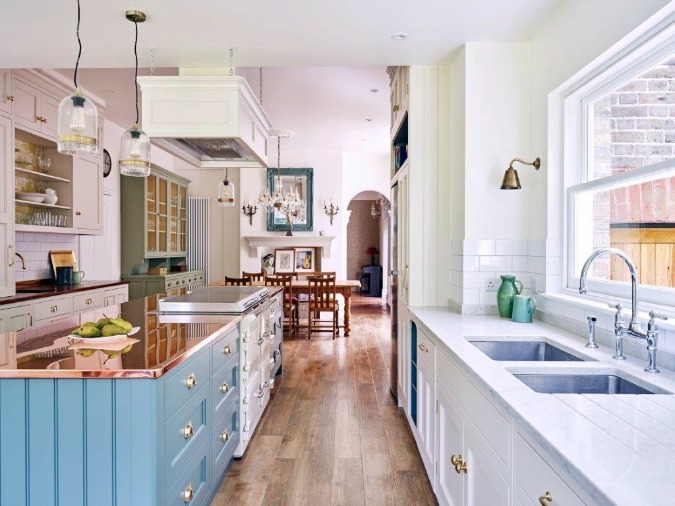 An Eclectic Victorian Kitchen in Surrey | The Decor Cafe | Interiors. Gardens. Lifestyle. Home business. The stunning copper work surface brings the whole kitchen to life, reflecting the trees in the garden, through the windows of the new extension. 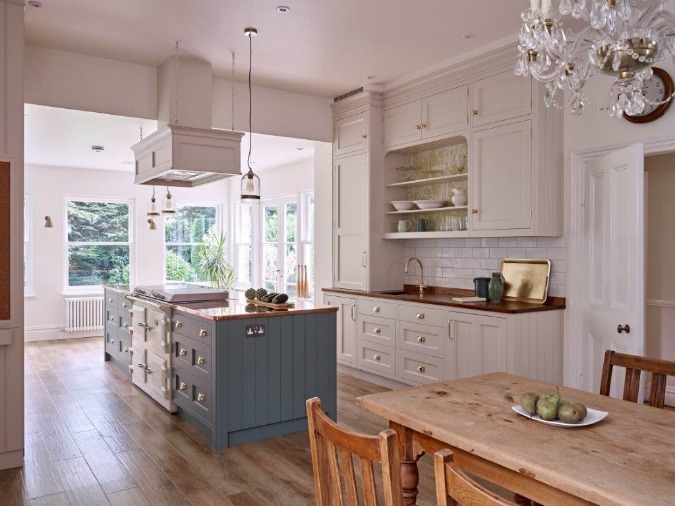 This strong design statement is balanced by more traditional Iroko on the side cabinets and practical quartz composite around the sink, adding layers of interest to the eclectic scheme. Rosie’s must have item was “a proper walk-in larder, tiled with cast iron brackets and oak shelves, that we created by knocking through into an old lean-to at the side of the house. This, plus the little details of the bespoke cabinetry make all the difference to me. The cabinetry was designed by and built by Woodstock Furniture. Andrew, the owner, thoroughly enjoyed the project getting involved in every detail from the aforementioned bespoke noticeboard to through to the design of the extension wall, which he ensured looks as though it was always a part of the property.